Today, I'm counting down the top 3 latest, and greatest fashion trends with you! I'll tell you what's in this season, be sure to read to the end to find out more! Enjoy! Bag accessories, like keychains, are the new monograms these days. In a sea full of bags that all look the same, it's a way to make your bag stand out in the crowd of little black bags. Milan Fashion week really started this trend off as the runway showed an assortment of keychains from a Hawaiian doll to strawberry. On a side note, Callie released the Mortal Kiss pin yesterday and I feel as if it totally could be used as a bag charm! Okay, okay before you say "Ew, not for me" consider all the different shades of yellow that are are out there! From amber to canary to marigold there are a million different shades of this bright and flashy color! You just have to find one that looks cute on you, and works well with your skin tone. Brands like Michael Kors have been seen using this trend in their collections this spring. 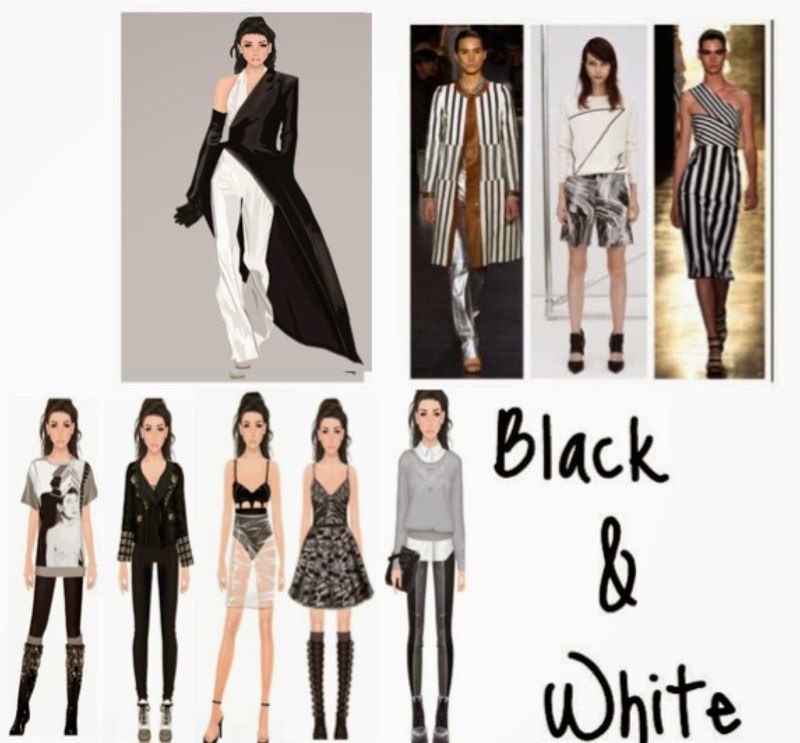 Alright, so this last trend isn't something surprising or new - We've been seeing this monochrome trend being plastered all over new Stardoll collections. Nelly, LE... It's everywhere! I think it's a classic that we just can't break away from! That's all for today, I really hope you've all enjoyed today's post!